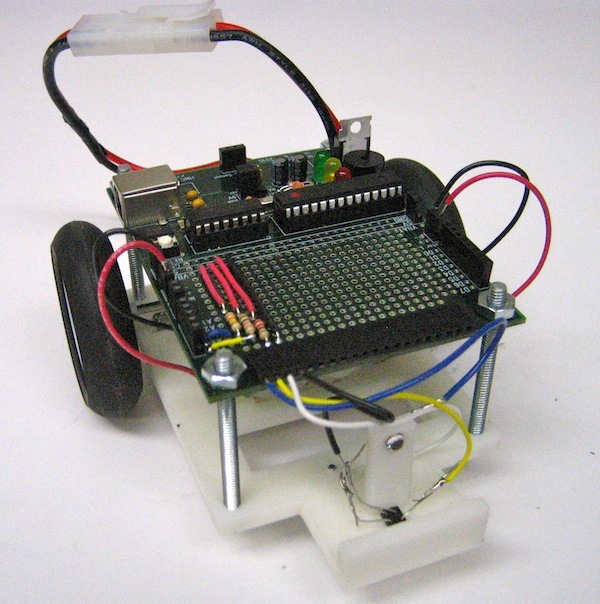 As part of my work in designing Autonomous Vehicles, we developed a simple robot chassis, with the Mudduino as the controller. Downward-pointing reflectance sensor for line following. Hobby and off-the-shelf motors, gearboxes, batteries. 3D printed chassis introduces students to rapid prototyping.